RUSH: Once again a truth-starved nation tunes to the EIB Network to figure out what’s what. You’re in the right place. Happy to oblige. Greetings, my friends, and welcome. It is the one and only program here on the Excellence in Broadcasting Network, a network named after the scope of my talent. The telephone number if you want to be on the program, 800-282-2882, and if you want to send an email address — or an email, the address is ElRushbo@eibnet.us. Okay. What’s happening here, folks, is pretty much what always happens and what has been happening in the Drive-By Media since election night. There is an attempt to misinform the public, the part of the public that gets its news from the Drive-By Media. And, sadly, that’s still a sizable portion of the public. Be it CBS, be it CNN, be it ABC, be it the New York Times, the Washington Post, USA Today, Yahoo News, the AP, it doesn’t matter. Whatever portion of our population that watches or reads or listens to news from that cabal is now under the impression that step one in nailing Trump colluding with Russia has happened because this is the way it’s being reported. Except that is not what has happened, and I’m relatively confident that those of you who regularly listen to this program know that without my having to remind you. You are up to speed, you’re informed, and you’re educated on the ways and means of the Drive-By Media and what their objective here is. 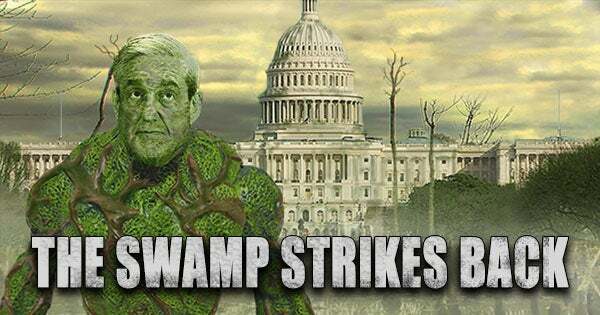 You know full well that the objective of what we now affectionately call the swamp, Washington, DC, and its members in the establishment, their objective is to get rid of Donald Trump one way or the other. Their objective is to overturn the election of 2016 one way or another. So what has happened to facilitate that? Well, you are supposed to be focused. The Drive-Bys are trying to focus you and as many people as they can on the indictment and arrest of Paul Manafort. I, however, am not going to be led by the nose by Robert Mueller and his news media cronies. Now, Mueller and his cronies illegally leaked — and this is from Trey Gowdy, not me — illegally leaked that someone was gonna be arrested back on Friday. Remember the bzz bzz bzz bzz that began. And it was leaked to CNN, and we now know unequivocally that CNN has close, close ties to Fusion GPS. People that have worked at Fusion GPS have worked at CNN. People that have worked at CNN have been places prior to that where they hired people at Fusion GPS. It’s an incestual and it is a revolving door for ranking members of the establishment inside Washington, D.C. So the leak was illegal. The purpose of the leak was multifaceted. The first purpose of the leak was to distract you from the growing awareness that it was the Clinton campaign that hired and practically wrote the Trump dossier. By the way, today, added information on why they went the dossier route. They’ve been making a big deal out of the fact that it’s a dossier, the dossier. One of the reasons for this and one of the reasons that the Fusion GPS people were hired and one of the reasons they hired Christopher Steele — who is Steele? Former MI6. What’s that? Reputed intelligence agency, the equivalent of our CIA in the U.K. They had learned, the Democrats in the media had learned that standard dirty tricks did not work on Trump, such as the Access Hollywood video. The things that have always worked from the media and the Democrat Party playbook to take out Republican candidates or Republican elected officials had not worked on Trump. They fired every weapon they had. They’d used as much ammo as they could muster to get rid of Trump in the traditional Democrat, Drive-By Media dirty tricks technique. But none of it stuck. None of it worked. They could not dent Trump’s bond with his voters. And there were enough of them, of course, to elect him president. So they decided that they had to go outside the appearance of politics-as-usual. And what better way than to purchase and construct and write an intelligence document that was sourced by people in the Russian government and MI6. In other words, this was a way to give a standard, ordinary Democrat dirty trick a little gravitas, something that appeared to be other than a dirty trick, even though that’s all it has ever been. Now, you’ve heard that the Washington Free Beacon and Paul Singer were the first to hire Fusion GPS. This is true. And I will explain this in due course. But that doesn’t mitigate in any way the involvement of Hillary Clinton, the Democrat National Committee, and Marc Elias, the law firm of Perkins Coie, it doesn’t mitigate or erase their involvement in any way. So the reason for constructing this dossier and calling it even a dossier was to make it appear outside the normal day-to-day Democrat or Republican dirty tricks. You know, the voting public is used to these things. The October Surprise, everybody’s expecting one every election, and dirty tricks are something that people are used to, and none of that had worked on Trump. So this was designed to appear to be something totally independent that was the result of a serious intelligence agency investigation and so forth, and so on. Well, when the news leaked that Mrs. Clinton and her campaign and a law firm had actually hired Fusion GPS and had actually pretty much written the Trump dossier and when it had leaked out that Christopher Steele who was hired by Fusion GPS to actually get this dossier done, when it was learned that the FBI and James Comey had tried to hire Steele to keep him going, it was time to plug that hole in the dike. Ergo, the leak on Friday that Mueller had an indictment. That totally changed the narrative, it changed the direction, and its purpose was to basically cover up and shift away to the side the Clinton involvement in the Trump dossier. It was a classic case of distraction. But none of the Manafort news is really news, ladies and gentlemen. I can tell you for ontological certainty, with ontological certitude, none of the Manafort indictment, as we sit here today, has a single thing to do with Donald Trump, with the Trump campaign, or Russian collusion. But this is not news either. I warned you in a monologue all the way back on August 4th that this kind of thing was coming, and the reason I mention that is I got an email question today, “Remind me again, Rush, what is Mueller investigating?” It was a rhetorical question. The answer is, “Anything.” Department of Justice regulations require that when the attorney general — in this case the deputy attorney general — assigns a case to a special counsel, there is a crime. There must be a crime requiring investigation. In this case, there was no crime elucidated. I mean, the purpose of this ultimately is to find something with which to take to court to impeach the president, and if they have to go back to Trump’s ’92 tax return… Remember where he took a $960 million deduction? If they can go back, if they can make some kind of case that there’s been financial oddities at some point in Trump’s life they will do it, because there is no evidence. The thing you have to remember is that as we sit here today, there still is no evidence whatsoever — and there will not be any evidence — of Trump colluding with Russia to affect the outcome of the 2016 presidential election. So Mueller is looking at other things. And the things that he has indicted Manafort on have literally nothing to do with anything to do with Trump or the election in 2016 or the collusion with Russia. In fact, the things that Manafort’s been indicted for I’m told everybody knew that he was doing. It’s a long-known secret and that he’s not the only one, that Podesta… The Podesta brothers are doing exactly this kind of thing every day, every week in Washington. This is the way it operates. Peter King, the congressman from New York was on Fox earlier today. He was resolute in saying there was zilch, zero, nada evidence anywhere that there was any collusion with Russia by the Trump campaign. We still don’t have any of that evidence. I mean, it’s not there, and this indictment of Manafort doesn’t produce anything. Nothing. Folks, nothing has been shown to any congressional committee yet, House or Senate. Nothing. There’s not a shred of evidence that’s been produced in hours, days, months of investigation by these two committees. There’s more than two. There’s the committees in the House and the Senate. Peter King has sat through many of these witnesses and said today on Fox that he’s seen no evidence whatsoever of any collusion and nothing in these indictments has anything to do with Trump. But that’s not the point. The point is that the media is saying, “It’s the first step! It’s this; it’s that. It’s the first step that Mueller’s taking on the way to indicting Trump,” and that’s all they’ve got to say because the audience watching them, reading them, listening to them is going to hear that, and they’re probably going to believe it. You won’t because you are sufficiently informed and educated as to the ways of the Drive-By Media. Nothing in these indictments has anything to do with Trump. But I don’t even want to get caught up wasting any time on that other than to point it out. I don’t want to get tricked into being led down some primrose path to nowhere by Mueller and his team and his media accomplices. This was leaked to CNN on Friday to distract the effervescing news about the Clinton involvement in all of this. The years of the charges in the indictment of Manafort are 2006 to 2015 — 2006 to 2015! We’re talking 10 years here before Manafort had anything to do with the Trump campaign. None of what is in the indictment has any direct connection to Trump. It is thought by experienced legal beagles, federal prosecutors, former federal prosecutors — even Alan Dershowitz, whom you will hear in a sound bite coming up — that this is leverage. It’s a leverage deal to get Manafort to give them something nasty on Trump. You make life miserable for your perp, and you pile on, and the misery gets multiplied, and you don’t let up on the gas. The objective is to make life so miserable for so long, to drag on for years that Manafort will say anything — even lie if he has to — to get out from under this. But if it’s something Mueller wants to hear or one of his investigators wants to hear that they can make PR points out of, then they will take it. Manafort did not see this indictment coming today. As late as Saturday, according to James Rosen as Fox, Manafort had no idea. I don’t know if he’d been told he was in the clear. Probably not that. But the point is, it came as a surprise even to Manafort. So the indictment charges predate the Trump campaign. The Trump campaign’s never mentioned any indictment. Remember, what is Mueller doing? What do most people think Mueller is doing? Most people think Mueller is investigating Trump-Russia collusion. He was hired when Jeff Sessions had to recuse himself, which we now know was totally unnecessary because none of this is real. The basis and the foundation for this, the Trump dossier, isn’t real. Well, I mean, it’s real, but it’s manufactured. It’s fiction. It’s made up. Republicans are still trying to track down just how widely used was the dossier in securing FISA warrants. Just how foundational was it in pursuing this congressional and intelligence agency investigation of Trump. My instinct, my intelligence guided by experience tells me that it’s the foundation, the basis. There have been enough of these people that have leaked or misspoken enough to convince me that this is part and parcel a foundational aspect of their investigation because that’s what it was created for! It was created to form the basis. It was created to suffice as a dirty trick that appeared to be outside the normal boundaries of political dirty tricks that the American voters have simply come to expect if not tolerate. This was supposed to have the big, red word “OFFICIAL” stamped on it, not “political.” That’s why “dossier,” that’s why “Russian government,” that’s why “Fusion GPS.” That’s why all of this has the appearance of being outside the ebb and flow of daily politics, when in fact it is maybe the worst, most egregious example of it. This looks to be a tax-evasion issue, not a collusion-with-Russia issue, as far as the Manafort stuff is involved. Trump’s doubling down on tweets this morning that there is no collusion and that the real crimes were committed by Hillary. RUSH: I got an email today from somebody else. 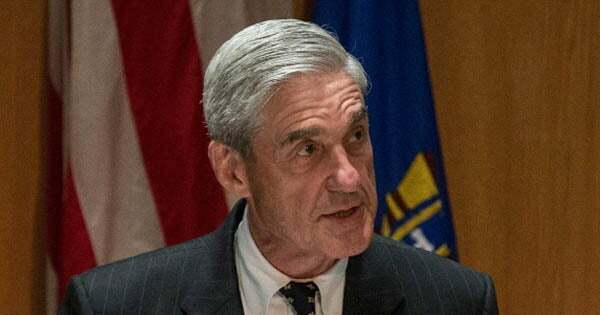 I got an email today, “Rush, what’s Mueller investigating?” Of course, the answer is “whatever he wants.” There is no boundary. Mueller can go wherever he wants. This whole Mueller investigation is occurring outside the guidelines that the Justice Department has set up for the special counsel and any special counsel investigation. There must be a crime that is designated by the attorney general, in this case deputy AG, in impaneling the special counsel. There’s gotta be a crime that’s instructed to go find out about, investigate. No crime here. No crime has been specified. You could look at the document that charters the Mueller special counsel investigation team. You won’t find a crime. There are no limits on the number of people they can hire. There’s no limit on the amount of money he can spend. And there’s no limit on the amount of time. Ao he can do and go wherever he wants. And for Manafort, he went back from 2006 to 2015. And that’s what he’s gonna do with Trump because there isn’t any evidence of Trump-Russia collusion. There just isn’t anything. The only thing there is is the Trump dossier, and that’s fake and made up. I don’t care what you hear, none of it’s been corroborated. A lot of it has been officially blown to smithereens as not credible, and not just the golden showers aspect of it. So to the extent that that dossier has been used to form an official investigation, if that dossier is ever the reason for any indictments, then I can see — well, I don’t know. Depends on the judge. Depends on the court. Everything’s been so corrupted because it’s been so politicized. I’ll just tell you this. In a just world — and I’m not trying to make a pun here. In a world where the justice system reigns supreme, any indictment resulting from whatever’s in the Trump dossier would have to be thrown out. It’s not real. It’s a political document. 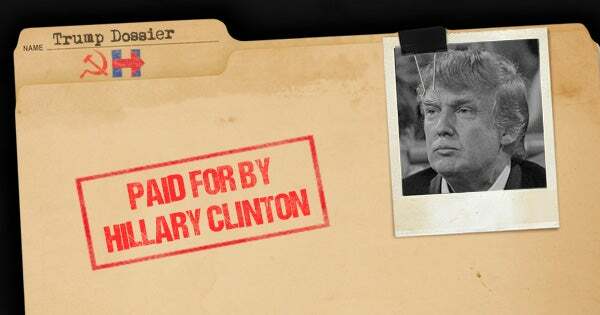 It was bought and paid for by a political campaign to do damage against the political presidential opponent! It’s not an intelligence document. It’s bought and paid for. So anything in it that leads to an indictment, to me, would be extremely risky. So, I will have to defer to actual legal experts on that last claim, but it just seems common sense to me that if indictments occur because of things that are not true in that dossier are used as evidence, then what good is it? It’s gotta be thrown out. So here’s the next question I got. “Rush, I’m thinking that there’s a possibility that Manafort is not actually aiming at Trump here.” Meaning with the indictment of Manafort. That Mueller is not actually aiming at Trump but may in fact be trying to get Podesta. What Mueller and his investigators are looking into is Russian influence in general, not from the Trump campaign, but from Manafort for years before and the Podesta — Now, Manafort’s political entanglements involve him with the government of Ukraine, which is not Russia! And the things that Manafort’s firm, things they were engaged in, the Podesta firm was engaged in very similar behavior. Now, I just need to do a little test here. How many of you actually would accept the premise that Mueller is using the Manafort indictment to tighten the screws on Podesta? Anybody think that’s got any, any shred of possibility? Because everybody assumes Mueller, Mister Big, Washington establishment, unassailable reputation, not covered, not tainted by the corruption of politics, strictly — same things that we’ve heard about Comey which now we have reason to question. But there’s nothing here with Trump and collusion with Russia. There simply isn’t anything there. Now, Manafort did do some stuff. Maybe money laundering, maybe colluding or something with Ukraine, but so did Podesta. Is it feasible that this guy with 16 Obama and Hillary lawyers on his team would be going after a Democrat? Remember, Mueller is, supposedly, a Republican, former FBI director. Remember, untainted, one of the maybe two people in town untainted reputationally by the swamp.